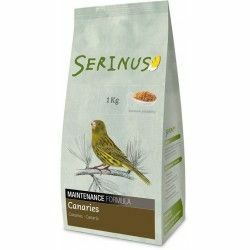 Complete food for canaries. Indicated to be provided during the quiescent period and reproductive for animals ornamental and singing. 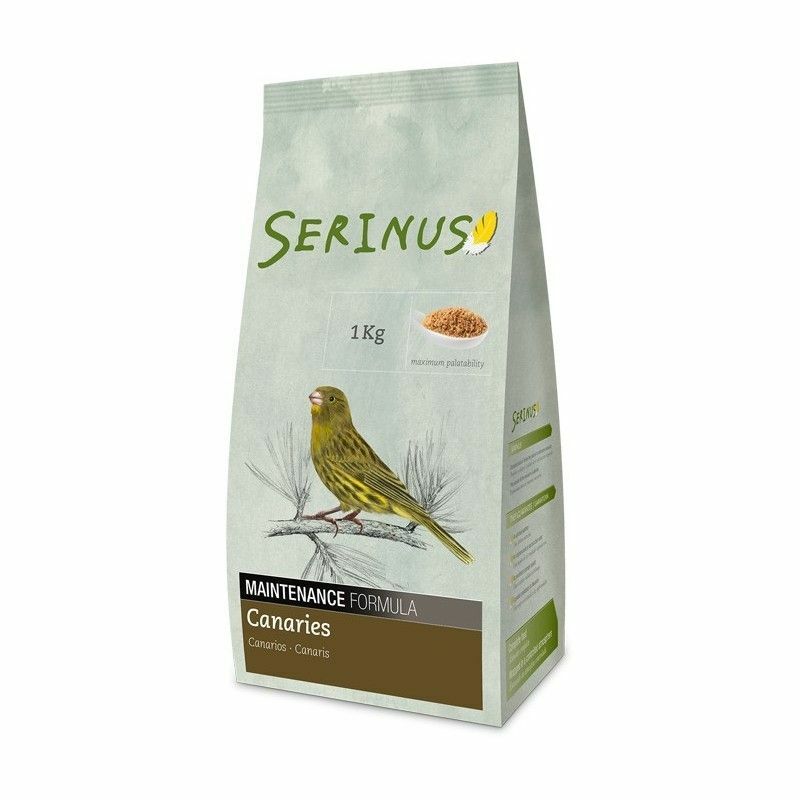 It is indicated for wild birds of the family of the finches (canaries). The formula for maintenance is indicated to be provided during the quiescent period reproductive. For animals ornamental and singing we will also use typically the formula of maintenance. Daily consumption The average consumption is around 3-4 g per animal and day. The consumption is variable according to the ambient temperature (the lower the temperature, the greater the consumption). We recommend providing water ad libitum. Recommendations The formulas Serinus are whole foods. The birds get all the nutrients needed to enjoy optimal health, excellent effect and an excellent quality of plumage. They are designed to be fed as single diet. May optionally be used in conjunction with seeds in mixed diets. It is advisable to provide leaves of vegetables periodically with the purpose of giving variety to the diet. Must be supplied in dry and in feeders with grid. Additive Mixtures of flavouring / Sepiolita / antioxidant Substances / Trace elements or compounds of trace elements (chelates of iron, copper, manganese and zinc; iodate, calcium and sodium selenite) / Vitamins, provitamins and substances chemically defined analogous effect (A, D3, E, K, B1, B2, B6, B12, C, Ac. Pantothenic Acid, Niacin, Ac. Folic acid, Biotin, choline Chloride). Description: Complete food for canaries. Indicated to be provided during the quiescent period and reproductive for animals ornamental and singing.